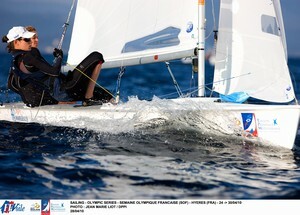 43rd Semaine Olympique Française - “SOF-TPM” in Hyères - 4th Event on the ISAF Sailing World Cup Circuit. Olympic selections which are another cause of the high entries have started for some nations two weeks ago in Palma at the Trofeo Princesa Sofia MAPFRE. Hyères will be used for other countries as qualification event. All the top favourites are in Hyères in most classes to gain further points on the Sailing World Cup circuit and measure up against their main rivals. And for the first time, the Semaine Olympique Française will stage all the Olympic and Paralympic events in a week packed with action! 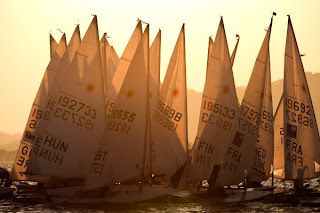 The French sailors will feel the pressure with their “home” regatta chosen as first “observation event” for London 2012! Nicolas Charbonnier sailing now with Jeremie Mion, and Emmanuelle Rol with Hélène Defrance in the 470, will also defend their title. Competition this year will be tough not only against other French team members but by the high level of competition. After winning Palma a few points ahead of Leboucher/Garos, Charbonnier and Mion will meet again with all the top 470 teams including World Champions and World # 1 Mat Belcher and Malcolm Page (AUS), the Italians Zandona/Zuchetti, second in Hyères last year or World # 2 Sime Fantela and Igor Marenic (CRO). Rolex Miami OCR Gold medallists Nic Asher and Elliot Willis (GBR) will also be among the favourites. 2010 European champions, Emmanuelle Rol and Hélène Defrance (FRA) will defend their title against two other strong French teams. World #1 Ingrid Petitjean and Nadège Douroux have started the year by winning the Rolex Miami OCR, and Camille Lecointre with Mathilde Géron have taken the second place in the Sailing World Cup standings after placing in the top ten in Miami and Palma. The French will have also to deal with Julia Conti and Giovanna Micol (ITA), 2010 World's Bronze medallists, the Japanese Ai Kondo and Wakako Tabata, second in Palma, or Penny Clarke and Katrina Hughes SWC leaders and second in the Rolex Miami OCR. Record attendance as well in the Laser radial with 115 sailors registered to take part in the SOF-TPM. Most of the world top 20 will compete for SWC points and the title won last year by Ausra Mileviciute (LTU). Fresh from winning the Trofeo Princesa Sofia in Palma, Sarah Winther (NZL) will lead the attack. Favourites include 2010 World Champion Sari Multala (FIN), Paige Railey winner of the Rolex Miami OCR or last year SWC circuit champion and World's silver medallist, Marit Bouwmeester (NED). In the Men's division, Paul Goodison (GBR) who snatched away the title on the last day in Palma from Tom Slingsby, is one of the hot favourite. The Beijing Gold medallist will aim to keep his title won last year in Hyères. Last year's runner up, Andreas Geritzer (AUT) and Javier Hernandez (ESP), World Champion Tom Slingsby (AUS) or SWC leader, Nick Thompson (GBR), will all be ready for a slice of victory. 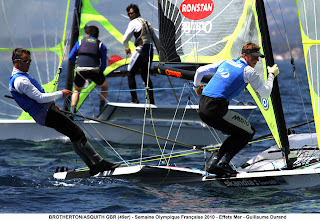 World #1 Nico Delle-Karth and Nicolau Reisch (AUT), after taking Silver in Hyères three times (2007, 2009 and 2010) will be ready to climb one place higher on the 49er podium. They lead the Sailing World Cup standings after winning Sail Melbourne and placing 3rd in Palma. Defending champions Paul Brotherton and Mark Asquith (GBR) placed second in Miami early this year and will be among the class favourites with Palma champions Manu Dyen and Stéphane Christidis (FRA), Italian brothers Pietro and Gianfranco Sibello, second in Palma and third at the 2010 Worlds. The start of the year have seen a British contest in the Finn class. The come back of Ben Ainslie to Olympic competition, and Olympic selection at a close distance, the pressure is on for the strong British squad. Since Ed Wright claimed last year his second Sailing World Cup title and the World Championship, events titles have been shared between Giles Scott and Ben Ainslie. Scott has claimed victory in the Sail for Gold event last summer and in the Miami OCR at the start of the year while the multiple Olympic champion Ben Ainslie has taken Gold at Sail Melbourne and Palma. However, with a record 80 boats fleet in the Finn, the Semaine Olympique Française will not just be a British affair. French sailors Thomas Lebreton, third in Palma, and Jonathan Lobert or Croatians' World #1 Ivan Kljakovic Gaspic and last year winner Marin Misura returning to the competition after a winter of intense training, will be part of the battle along with Silver medallists Zach Railey (USA) and Rafa Trujillo (ESP). 18 countries will be represented in the Women Match racing. Hallbrook's team (GER) will defend the SOF -TPM 2010 title. Barkow and Lehtinen, finalists in Palma, World leaders of Claire Leroy, Nicky Souter (AUS) and Lucy MacGregor will provided some close racing. The RS:X fleets will not be complete in Hyères with some key players away. Palma winner, Dorian van Rijsselberge (NED), defending champion Byron Kokalanis, Olympic champion Tom Ashley, Nick Dempsey (GBR) or Ivan Pastor (ESP) are taking a break from the competition to prepare for the Sail for Gold regatta and test event in Weymouth. However, the RS:X level will remain high with Olympic Silver medallist Julien Bontemps (FRA), World #1 Nimrod Mashich (ISR), World Champion Piotr Myszka (POL) or Sail Melbourne winner King Yin Chan (HKG) all present in Hyères in a fleet of 90 board sailors. After winning for the first time the Trofeo Princesa Sofia title in Palma, Marina Alabau will not compete in Hyères. Bryony Shaw will be back to defend her title and will face tough competition against ISAF Sailor of the Year Blanca Manchon, the Italians Sensini and Linares who will continue on their tight Olympic selection, and the french Charline Picon, second in Palma. A strong Chinese team is present in Hyères with 10 windsurfers including 2009 Hyères week winner Cheina Pen. For the first time in the SOF-TPM history, the three Paralympic classes will race. In the 2.4, last year top three have come back with Athens Gold medallist Damien Seguin, Palma winner Thierry Schmitter (NED) and Megan Pascoe facing Beijing medalists Canadian Paul Tingley and American, John Ruf. The fleet of 22 boats is representing 10 countries. 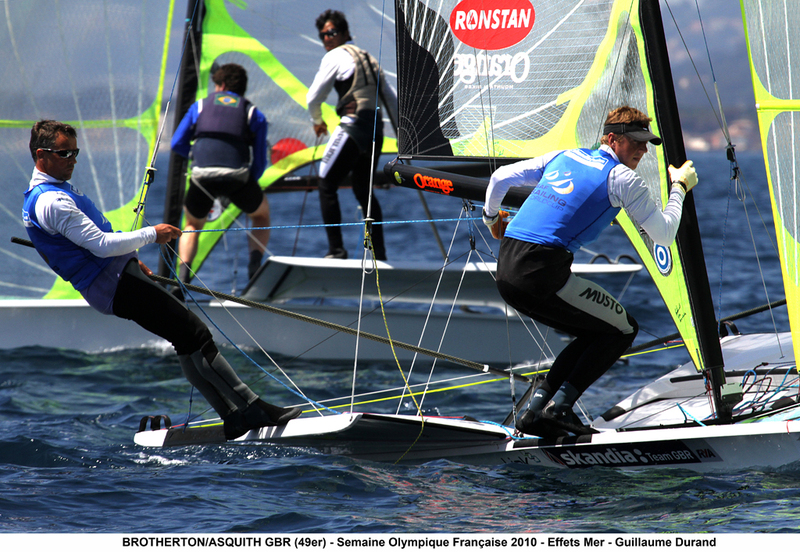 John Robertson team (GBR) in the Sonar will come to Hyères after a strong season debut with a win in Miami and a second place at the IFDS Worlds last year. The British team will try to repeat their 2008 victory in Hyères against Athens Silver medalists and world champions' Udo Hessels team from the Netherlands, or the Paralympic Silver medal French team of Bruno Jourdren. The Skud will be present for the first time in Hyères. World#1, the team of Alexandra Rickham and Niki Birrel (GBR) will be the favourite in the 6 boats fleet after winning the 2010 Skud Worlds and Sail Melbourne and taking Silver in Sail for Gold and the Rolex Miami OCR. After a practice race on Saturday, racing will start for all classes on Sunday. Classes divided in groups will sail their qualification stages until Tuesday 26h to be then divided in Gold, Silver and Bronze for the Lasers. The Medal races will be staged on Friday 29th in front of the Hyères harbour jetty.